So cute!! johannes is the best accessory that Olivia has!! 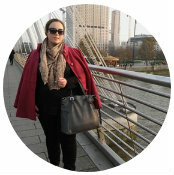 You have such a pretty and inspiring blog!